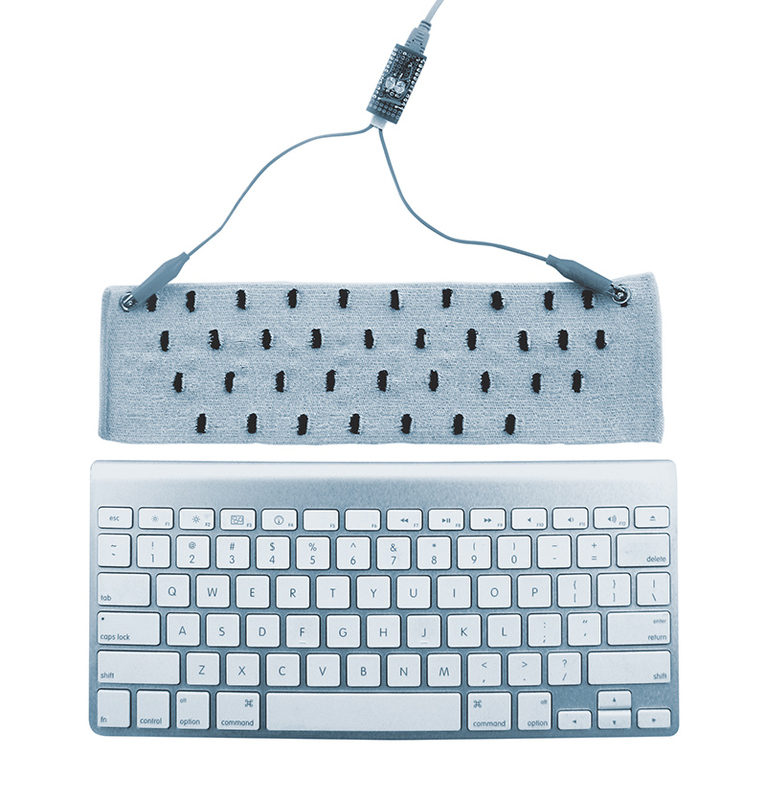 Imagine a computer keyboard knit from yarn, embedded with touch sensors and bluetooth, so soft and flexible it could be crumpled into a pocket. Such a device would be cloth-like, yet highly technological and functional. Imagine how a class of textiles like that could transform everyday life and products across multiple industries. It sounds like science fiction, but interdisciplinary researchers working with Drexel’s Center for Functional Fabrics, in partnership with a collaboration announced in 2016 with the Department of Defense-funded Advanced Functional Fabrics of America, are developing the models, standards, design and fabrication methods necessary to stimulate an industry around “functional fibers.” These smart fabrics integrate yarns and fibers engineered to see, hear, sense and communicate. In 2017, Drexel further announced that it is establishing a state-of-the-art, end-to-end advanced regional manufacturing lab capable of developing functional fabric prototypes for pilot-stage production. It will be called the “Pennsylvania Fabric Discovery Center” and will be overseen by the Center for Functional Fabrics. 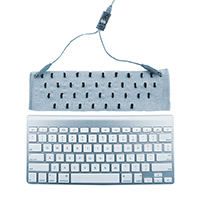 When not connected to a computer, this cloth keyboard knitted at Drexel can be stuffed in a pocket.